Kansas Notable Books is a project of the Kansas Center for the Book, a program of the State Library and has selected Twenty-five Years among the Indians and Buffalo: A Frontier Memoir by William D. Street, edited by Warren R. Street as an outstanding book either written by Kansas or about a Kansas related topic. In later life Street rose to prominence as a newspaper publisher, state legislator, and regent of the Kansas State Agricultural College. At the time of his death—noted in the New York Times—he was still at work on his memoir. 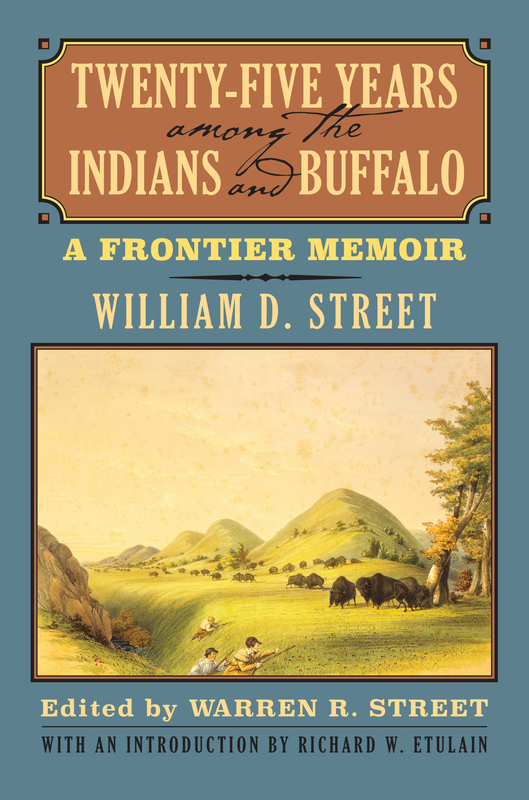 Handed down through his family over the past century and faithfully transcribed here, Street’s story of frontier life is as rich in history as it is in character, giving us a sense of what it was to be not just a witness to, but a player in, the drama of the plains as it unfolded in the late nineteenth century. Edited by Street’s great-grandson, Warren R. Street, with an introduction by Richard Etulain, a leading scholar of the West, this memoir is history as it was lived, recalled in sharp detail and recounted in engaging prose, for the ages. In later life Street rose to prominence as a newspaper publisher, state legislator, and regent of the Kansas State Agricultural College. At the time of his death—noted in the New York Times—he was still at work on his memoir. 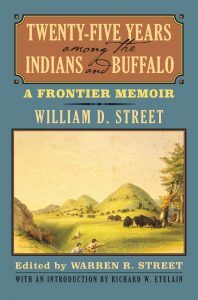 Handed down through his family over the past century and faithfully transcribed here, Street’s story of frontier life is as rich in history as it is in character, giving us a sense of what it was to be not just a witness to, but a player in, the drama of the plains as it unfolded in the late nineteenth century. This memoir is history as it was lived, recalled in sharp detail and recounted in engaging prose, for the ages.